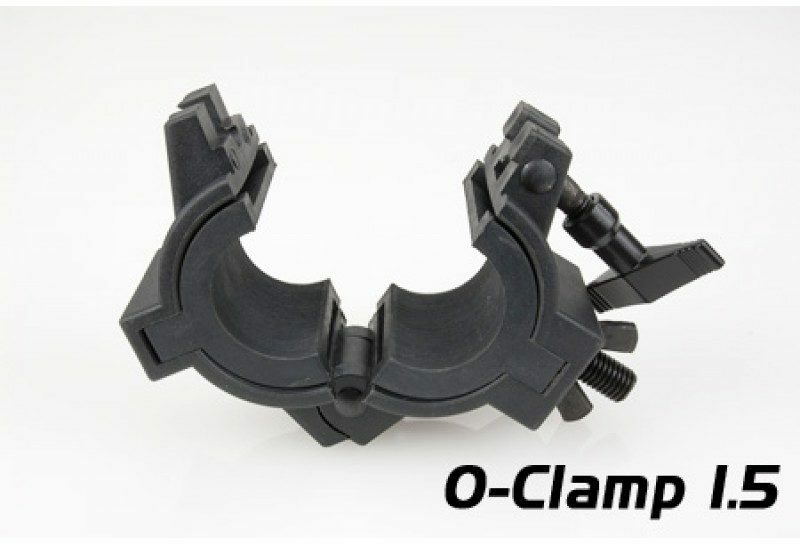 The O-Clamp from ADJ is a 360-degree clamp that wraps around truss tubing. It's designed to securely mount fixtures to truss. Mount your lighting with this 360-degree, wrap-around tube truss clamp. It's heavy-duty and can fit 1.5-inch to 2-inch width pipes. 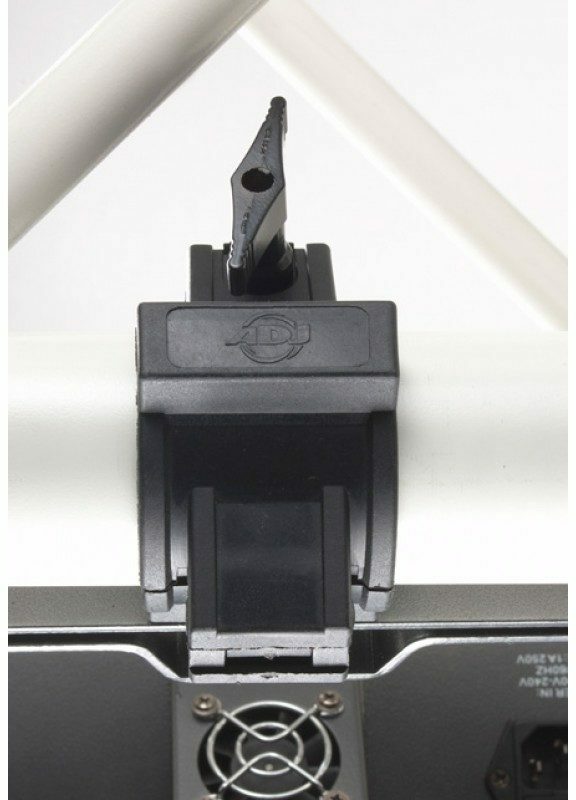 O-Clamps are made of molded plastic so as not to scratch the finish on your lighting truss. Always make safety the first part of your show. If you don't have your pieces clamped down, then you could risk everything. Add the ADJ O-Clamp to your toolbox and keep your mind at ease. - Weight limit: 28 lbs./13 kg. "Make sure these are the size you need!" Overall: These O-Clamps are listed as a "recommended accessory" for an Odyssey Truss System listed here on zZounds (search for item ODYLTMTS8) but these clamps are NOT compatible with that truss. That truss has 1.0-inch pipes, but these O-Clamps are only designed for use with 1.5-inch or 2.0-inch trusses. At the time I purchased the ODYLTMTS8 truss, the product description did NOT specify the pipe size, so I assumed, if the 1.5-inch O-Clamps were listed on this site as a "Recommended Accessory" they must be the right ones. It was disappointing when they arrived, and they didn't fit. Since zZounds doesn't sell 1.0-inch clamps, they did refund me, but I ate up about half the refund shipping these back to them... and then I had to go elsewhere to find the correct size O-Clamps. I'm not complaining to get attention, but I just want to make sure anyone else looking to purchase the same combo if items doesn't make the same mistake. Style of Music: Whatever my clients request! 35 of 37 people (94.59%) found this review helpful. Did you? Overall: I have about 8 of these clamps and they work, you have to make sure you are using them for the right size pipe, and be care full when loosening the wing nut, if you go to far everything falls off, make putting up lights quick and easy. 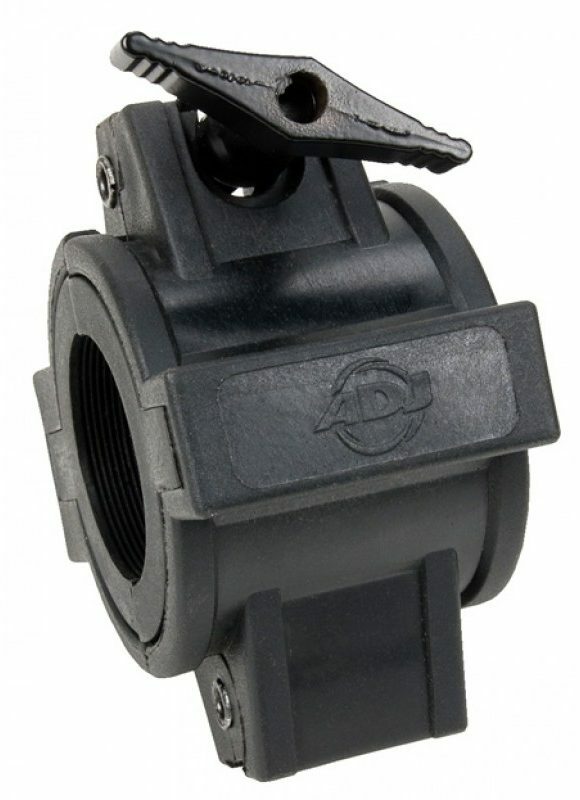 with 1.5-2" pipe these clamps can hold lights at an angle without damaging your pipe.